Kayaking is an activity enjoyed by a myriad of people from a rage of backgrounds, ethnicities and upbringings. There is something universally satisfying in plotting your course down a body of water, whilst able to explore the untouched sophistication of nature first-hand. It helps us to feel connected to the natural world around us, and also helps us to keep in touch with who we are deep down too. When were kayaks first used? Invented in Greenland almost 4000 years ago, Kayaks were probably first used by Inuit people. These are those from snowy and adverse climates. Historians and scientists believed that they used whale skeletons in order to give the boat a skeletal foundation. They then would use sealskin or other animal skin to give the boat a cover and a buoyancy. The idea was to create narrow slender boats, in order to traverse river, stream and ocean alike. The paddle was usually made from animal bone or wood. Todays kayak still resembles those of yesteryear quite closely. The narrow body adopted by almost every type of kayak serves to make the boat aerodynamic and manoeuvrable through the water. The word ‘kayak’ roughly translates to ‘man’s boat’, inferring that they were always meant to be quite personal crafts. The paddle has followed roughly the same design throughout the evolution of the kayak too, as it allows for the pushing back of water, and thrusting of the body of the boat. This is actually quite a complex question, as in modern times we have a range of different types of kayaks available to anyone. They are engineered to tackle certain special conditions and are often different from each other in a number of ways. Kayaks are also made out of different materials depending on purpose. 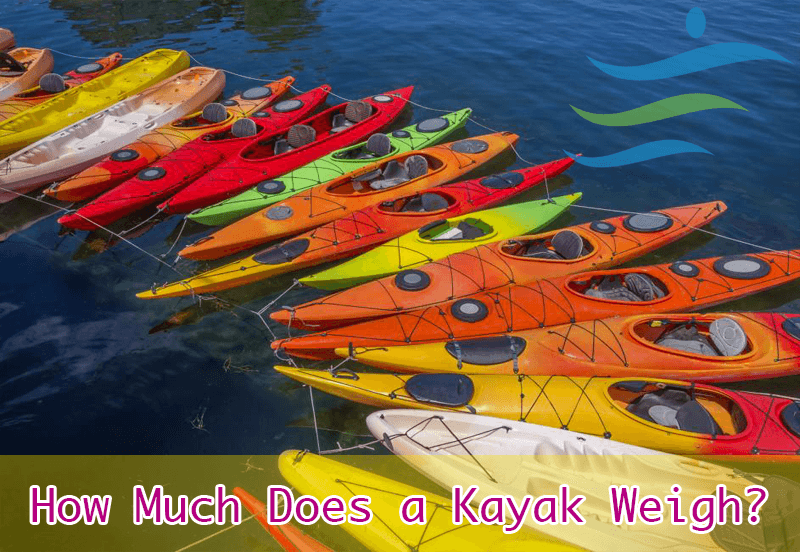 But before we go ahead, Kayaks will usually weigh around 40 – 80lbs. We will specify if the types of kayaks we are talking about are a bit different. What materials are kayaks made out of? You might know this material from being what plastic bags are made out of. Thankfully, the kayaks utilise polythene pellets or powder in a kayak mould. Kayaks made out of this material are often able to be sold for quite a cheap price, the only downside is that these kayaks are quite heavy. This means that they are a lot less manoeuvrable. This material is plastic reinforced with glass fibers. It is used to make swimming pools and hot tubs, as well as surfboards. This is the mid-priced and mid-weight option in terms of materials. This material is widely renowned as the most advanced kayak material. The most lightweight, meaning that a composite kayak is easy to manoeuvre through any sort of water. Though a kayak made out of this material will only come at a high price. White-water kayaking involves very rapid streams of water. One must navigate their way through range of different rivers and streams, all moving very fast. These kayaks are made to withstand a lot of contact with rocks and other solid things. Kayakers need these models to be as durable as possible, whilst also being lightweight to avoid any significant damage to the hull. 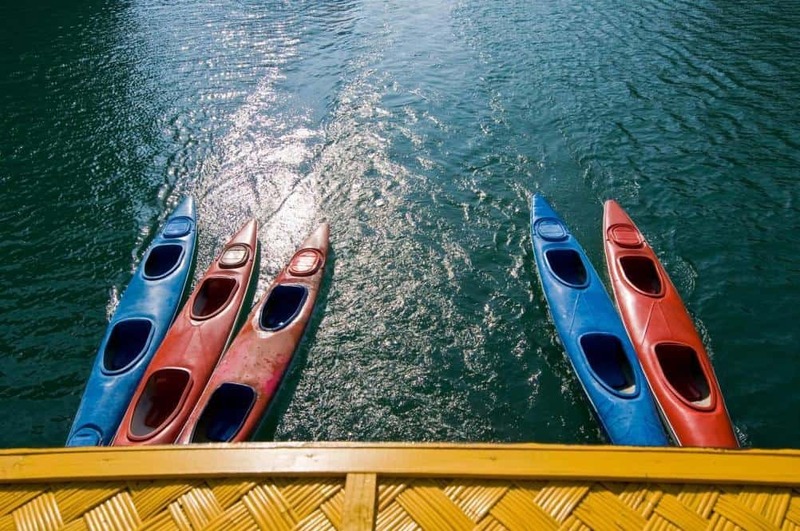 These kayaks are quite different than white-water kayaks. 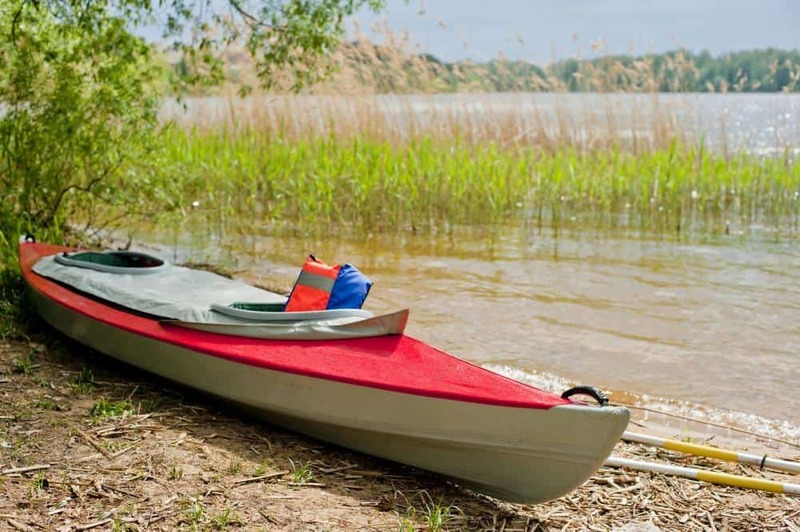 Touring kayaks only really have to take on calmer and less unpredictable waters, so this means they can stand to be a bit heavier and a bit less durable too. This means that they usually come to an average weight, dependent on the material used to make them. Though kayaking is often seen as quite a solitary activity, many like to take part in it as part of a partnership. Thankfully for them, there are kayaks made exclusively for those that like to bring someone with them on their travels. Tandem kayaks feature a second seat or hole in which another person can sit and paddle. But, with this being the case, they often weigh a lot more than normal kayaks. With the need for ease of transport and portability being a big thing, designers have engineered kayaks that are easy to use and pack away as well. One of these innovations comes in the form of the folding kayak. Usually made from flexible material and easily movable covering, these kayaks fold up to allow for packing away and transporting. These kayaks often weight quite a bit less than normal kayaks at around 30lbs as their frame is made from wood or aluminium to allow for easy folding. Another invention that tried to tackle the need for portability, inflatable kayaks work in a wholly different way to normal kayaks. They are made of a thick, flexible plastic and they need to be inflated to work. The kayak will not float on the water unless it is blown up fully. 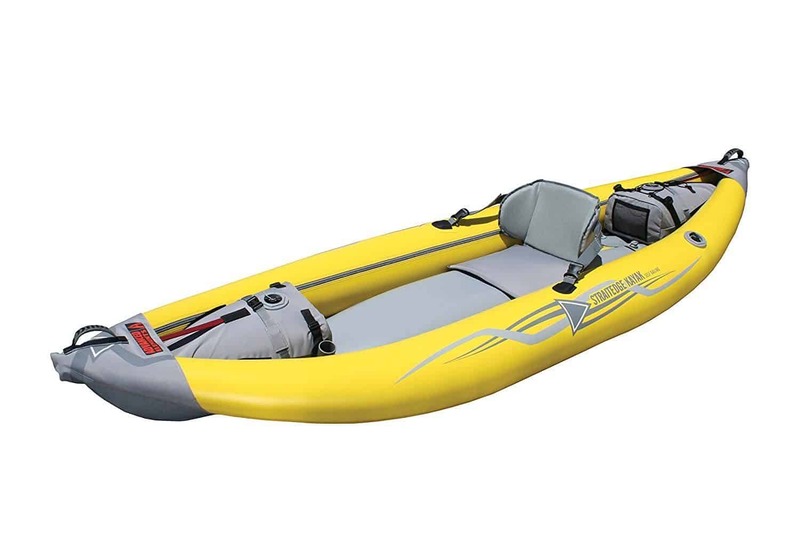 But when it is, it floats along the water as easy as any other sort of kayak would. Some of these inflatable kayaks are so light that they actually allow for storage in back packs and rucksacks. All one needs to do is deflate the kayak and roll it up tightly. This means that these kayaks weigh a whole lot less, usually under 20 lbs. How do I find out the weight of my kayak? If you’ve got a kayak but don’t know the weight of it, it can be risky bringing it out and letting people use it. The best way to find out the weight of a kayak is to use a search engine. Type in the exact model of your kayak and see what comes up. Oftentimes, sellers of kayaks and other water sports vehicles will include details about the dimensions of the craft for those looking to buy it. This will enable you to see exactly how heavy your kayak is. Think about it this way, you store your kayak somewhere in your house, so to get it to where you need it to be, you need to put it in the car. That involves some heavy lifting, once you are at your destination, you will also need to take the kayak off of the car and transport it down to the water. And bare in mind, that after you’ve had all your fun, you’ll need to get it back on the car and back in it’s storage place! So, you don’t want to be second guessing just how heavy the kayak is going to be, as you may find yourself unable to carry it. You also need to know how heavy it is to know just how much weight it can take before sinking into the water, because that won’t make your day out very fun at all! A light kayak might not be able to take the amount of people you need it to. Now that you know all there is to know about the weight of a kayak, we wish you the best of luck with your excursion! Have fun and stay safe when you are on the water.